I am sooo into Glühwein right now. 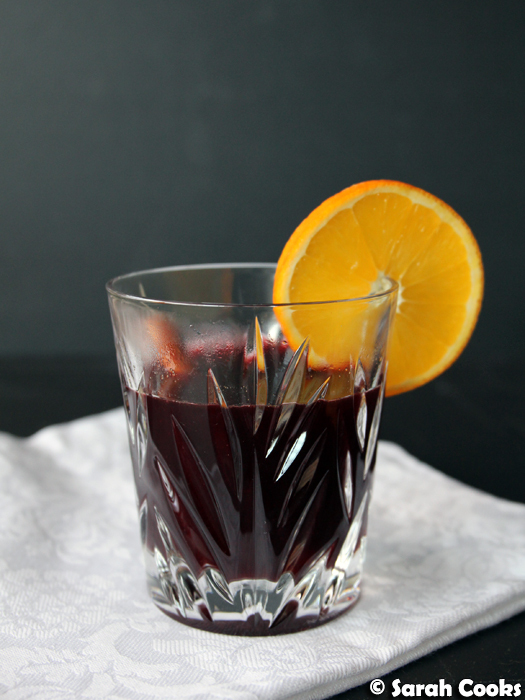 For anyone out there who doesn't know, Glühwein (literally "glowing wine") is German mulled wine. That's red wine, slowly heated with warm Christmassy spices, some bright citrus, and a little sugar for balance. 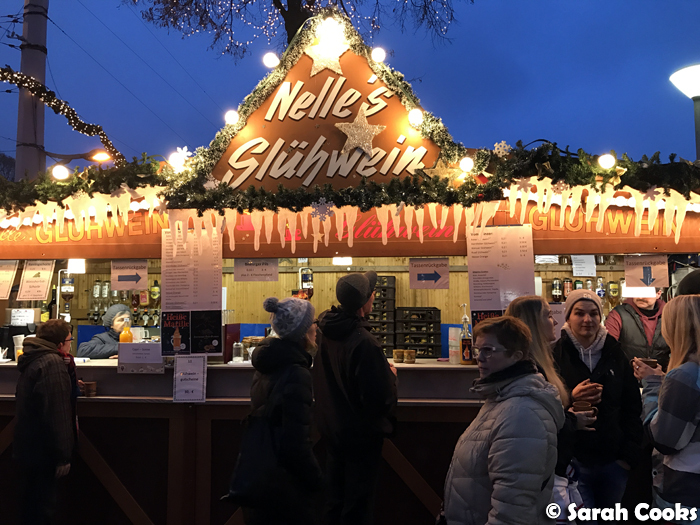 It's a staple of German Christmas markets, and is a fabulously warming drink for a cold day! I've really been feeling the cold this winter, and have really been enjoying my Glühwein. I first tried Glühwein on my first visit to a German Christmas market eleven years ago, and Sandra often makes it when we have friends over (See: housewarming! or Christmas in July). 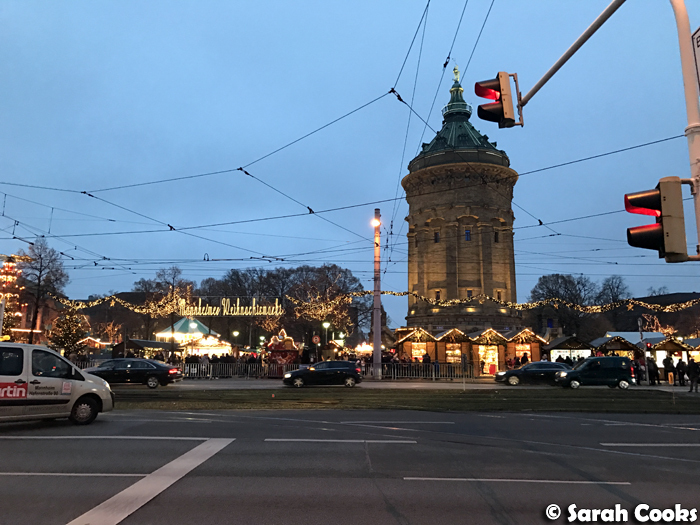 The last time we went to Germany, we managed to get to the Mannheim Christmas market, and it was so lovely to enjoy some Glühwein in situ! Start with some red wine (not expensive! 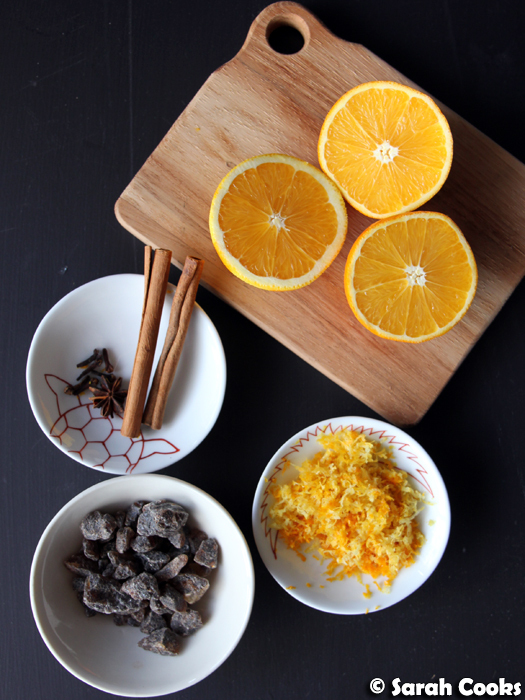 ), add the zest and juice of two oranges and a lemon, some cinnamon sticks, a star anise and some cloves. You add sugar to taste - this will depend on how sweet/dry your wine is, and how sweet you want the finished product to be. I'd suggest starting with half a cup, tasting halfway through the cooking time, and adding more if you like. In the picture, you'll see that we use Kandiszucker (AKA brown rock sugar). 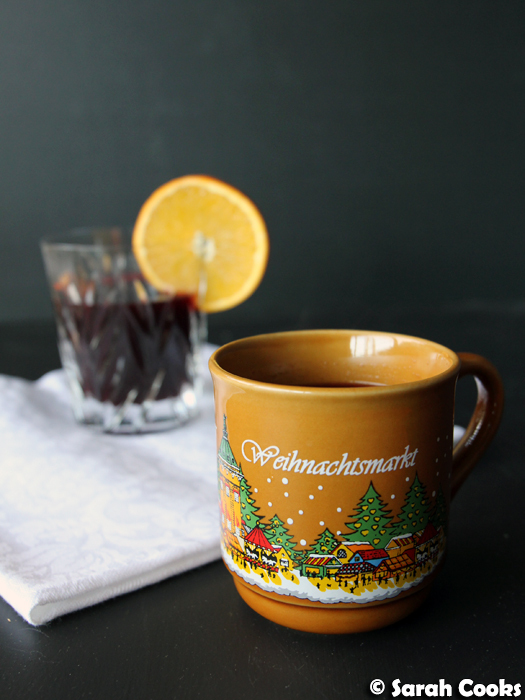 We bring this back from Germany and it gives the Glühwein a slightly caramelised taste. However, regular white granulated sugar works well too. Optionally, you can add some spirits - rum, whiskey or cherry schnapps. The taste isn't particularly prominent, but it does give the finished product an extra kick! Serve in heatproof glasses or mugs. You'll see my souvenir Christmassy Glühwein mug at the top of this post, and I love it. I'm told that almost every German family has at least one of these in the cupboard at home. This is the ultimate winter drink. Enjoy! (Responsibly). Place all the ingredients in a large saucepan and simmer on a very low heat for an hour. Do not let it boil! Strain into mugs or other heatproof cups to serve. How great to have Sandra's recipe! I'm making gluwein this coming weekend! But I do mine in the slow cooker which is pretty much all I use it for nowadays LOL. Oooh slow cooker - what a good idea! I bet that would be great for parties too, as you could keep the stove free!